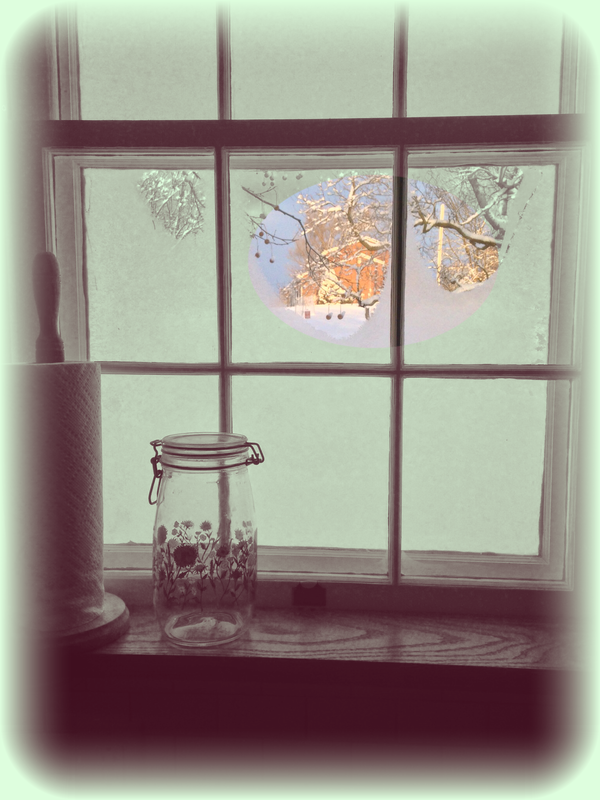 We have a new window in the mudroom. It is not like the gorgeous original kitchen windows that we spent three months painstakingly restoring. No, this window is a bottom-line Andersen window, on sale from Home Depot this past week for $225. We have spent the last year — on and off — looking for old double hung windows with real muntins that would fit this 48″x48″ square opening. No dice. No windows either. This is a perfect example of the drafty, ugly aluminum windows — this one is going to be gone SOON as well. The problem is that some of the windows in the cottage are original, and some were replaced in the seventies with aluminum frame windows that, uh, have zero charm. (Zero R-Value as well.) We are keeping the wood frame originals, but that leaves us with having to replace the others. 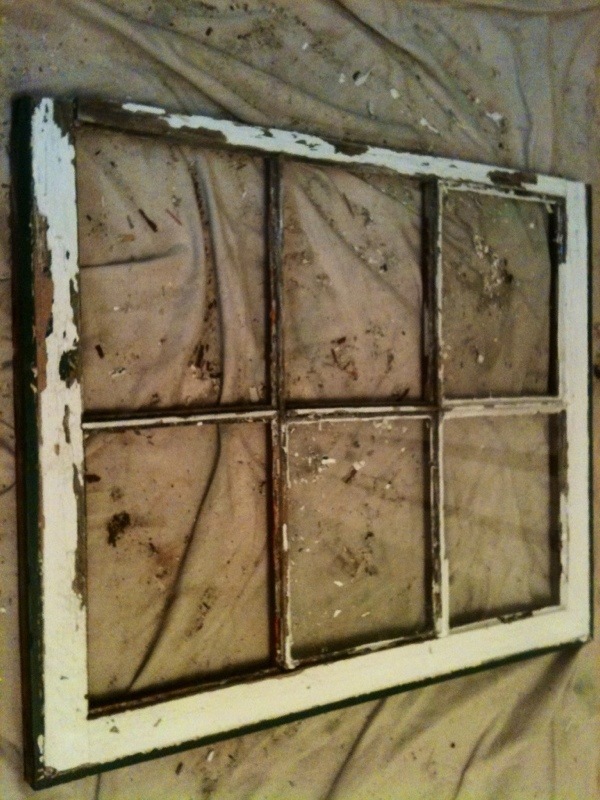 We just couldn’t spend any more time looking for old windows that we could re-do. It was time to upgrade that old aluminum window that was cracked and didn’t work. I could spend the rest of this post lamenting the loss of craftsmanship in the modern world. Why is everything affordable made from plastic vinyl? And as much as I’d like to put in expensive Pella windows that are, you know, historically appropriate? It just isn’t in the budget; we went with cheap, and on sale for even cheaper…But Energy Star Efficient! And Made in the USA. On an unseasonably warm October Saturday, we carted the old window out to the edge of the road, where someone will most likely stop and take it for the aluminum. Alas, the perennial problem is this: What does this particular project consist of? Are we just trying to get a window in for the winter, so air won’t blow through the kitchen? Or are we going to take our time and replace the siding now, because that is in the long-range plan? After several rounds of discussion, we decided to take the cedar shakes off and put white cove siding on the front of the mudroom. Mr. H.C. isn’t exactly happy about it; we’ve still got the kitchen AND the mudroom to finish, and here we are taking an excursion to the outside of the house. Mr. H.C. frowning at the level. He frowns at his level quite often. Of course, nothing about the mudroom is level or square. This photo sums up pretty well the angst that goes with putting a level on any wall or sill or floor of the cottage. It’s always a bigger job than expected — Mr. H.C. had to take off the horizontal board and cut off the studs three-quarters of an inch on one side for the window to fit in the frame. But at the end of the day, the window was in; I relented and admitted that it didn’t look too bad; and the rest of the outside walls are (almost) ready for siding. Last night I was reclining in bed, surrounded by pillows, books, notebooks, and reading glasses, writing a blog post on my IPhone. These phones are very handy when one has a thought and doesn’t want to lose it in the quagmire of daily living (or nightly dreaming). I was about to save the post when my finger accidentally hit the publish button. …and where the update button usually is was the PUBLISH button! There’s something very ironic (and humbling) about accidentally posting a post on perfectionism… It wasn’t ready. I hadn’t said it all yet. Hmmm…well, maybe I had, but I certainly hadn’t gone over it twenty three times to make sure it was as perfect as I could write it. Hence, this Part 2 — more thoughts about perfectionism. But this time I’m thinking about the blessings of it — because God does require our best and our best can be a blessing, not only to those around us, but also to ourselves. Artists and writers and musicians and craftsmen particularly know the struggle here. How does one know if the piece is finished and finished well? Madeline L’Engle says that inspiration usually comes as you are working, not before. So if one keeps working, one will continually be inspired. Perhaps when the inspiration stops, the piece is finished well? That works for pieces of music or writing or art, but it doesn’t hold up so well for paint or wood or refinishing windows. The wood of those windows we refinished isn’t perfect. It’s old. It’s got dents and nail holes. God, the perfect one, should have absolutely no tolerance for our human imperfections; yet he does. Rather, he loves us for them. And no amount of our own striving can make us achieve that perfectionism that is God. He has given us that striving, made it part of us, so we would desire to be like him. In that way it is a blessing, his gift to us. It only becomes bad when — dare I say it? — the devil (or the world, if you prefer) keeps whispering in our ears that we aren’t good enough or didn’t do it well enough. That’s when it becomes a curse.